H and I were up in Seattle late last week and ventured into the vegan shop, Sidecar for Pigs Peace. They stock an amazing selection of vegan goodies including some faux shrimp that intrigued us. I decided to throw together a nice sandwich filling for H’s lunch, yet equally fabulous in a lettuce wrap sans bread. 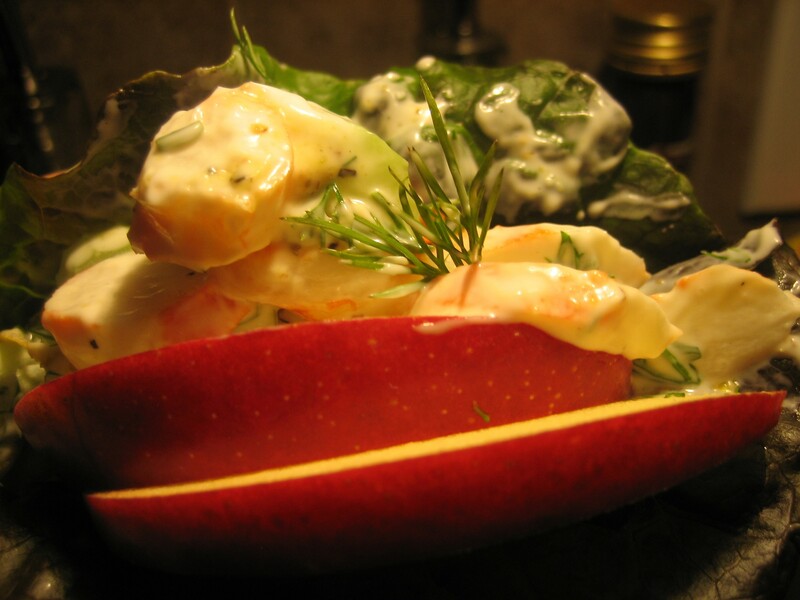 Mix sliced prawns, dill, apple, lemon zest and celery with the Veganaise. Add lemon pepper to taste.